This old website is archived as a reference only. 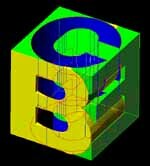 Please use our new website www.building-enclosure.com. Skip the lines and enjoy Kaz's seminars at your convenience! Some seminars are already available in DVD 720x480, NTSC format! The interactive, on-screen menu allows for the convenient chapter selection. 1. Principles of Facade Design is generally recommended as a starter for the series. The seminar discusses design and engineering of building enclosures. Primary façade design principles are classified and demonstrated with emphasis on a structural safety and a holistic approach. Table of contents includes: Classification of Façade Functions, Definitions, Environmental Protection, Ergonomics, Access Provisions, Feasibility, General Explanation of Façade Design Principles, Structural Resistance, Waterproofing, Condensation Control, Snow and Icing, Thermal Insulation, Shading, Durability, Wildlife Proofing, Flood Proofing, Noise Mitigation, Security, Dirt Build-up Prevention, Fire and Smoke Proofing, Economy, Hints on choosing your team, and Sources of Information. The educational seminar runs for approx. 1 hour running time plus introductions and presentations. The original source seminar consisted of 236 slides. The DVD version has numerous videos added, with the average slide lasting for only 10 seconds. 2. Aspects of Building Enclosure Design in Hurricane Country: Hot and Humid Climate presents non-obvious aspects of building enclosure design in hot and humid climates frequented by hurricanes. It discusses typical hazards and perils such as: flood, posthurricane scarcities, sun, rain, humidity, temperature, wildlife, wind, windborne debris, and cultural challenges. Requested most often by foreign architects planning to design in the Gulf region. Table of contents includes: Climate Classification, Perils, Functions, Aspects, Strom Surge, Post-Hurricane Recovery, Choice of Systems, Glazing Recovery, Good Practice vs. Code, Rehab Considerations, Insolation and Aging, Corrosion, Solar Heat Gain, IGU, Wildlife, Cultural Challenges, Hygrothermal Aspects, Case Example, latent Heat, Dead Spaces, Air LEakage, Diffusion, Pressurization, Wind and Impact, Uplift, Bracing, Roofing, Sources of Information, Final Remarks, and Conclusion. The educational seminar runs for approx. 1:15 hour plus introductions and presentations. An on-screen root menu allows chapter selection. The original source seminar consisted of 270 slides. The DVD version has numerous videos added, with the average slide lasting for only 10 seconds. 3. Curtain walls presents curtain walls, their fundamental classification, and challenges and solutions associated with them. The structural role of curtain walls, fundamental classification of curtain walls, glazing types and their modes of failures are analyzed, relevant building code requirements, tests of curtain walls, and main sources of water leakage are discussed. The educational seminar runs for approx. 1 hour plus introductions and presentations. An on-screen root menu allows chapter selection. The original source seminar consisted of 306 slides. Like one of our attendants commented "It's like taking a sip for a fire hose." Warning: Do NOT purchase unless you read and understood the terms and conditions that apply. Purchaser agrees to make the video available only to those individuals for whom a license has been purchased, otherwise heavy penalties would apply. You are purchasing a license or "right to view," and the licensee must agree to the terms and conditions that apply to the purchase. We need to know the name and email address of each for each individual viewer/ licensee before we can complete your order (if you use Paypal, please place the information in the "comments" section to speed up the process). Time and Shipping. Orders are fullfilled within one week. First-class shipping with USPS to the continental U.S. is the default method of shipment. Contact us if you require overseas shipment. DVD cover "Principles of Facade Design"
DVD cover "Aspects of Building Enclosure Design in Hurricane Country: Hot and Humid Climate." DVD cover "Curtain Walls ."